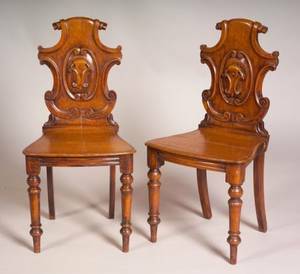 Pair of Victorian carved piano chairs. 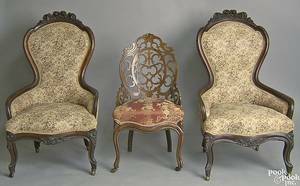 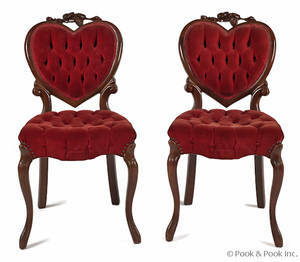 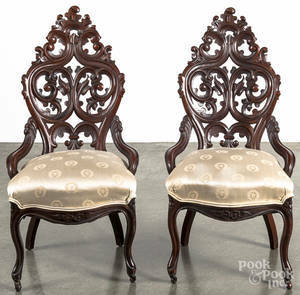 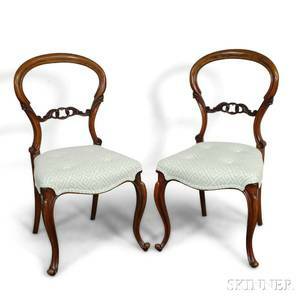 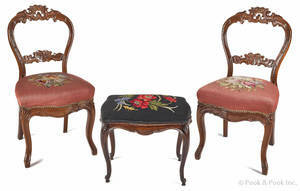 Archived auctions similar to Pair of Victorian carved piano chairs. 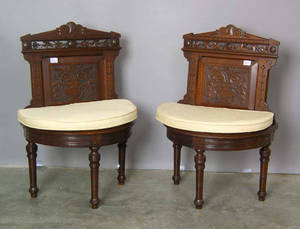 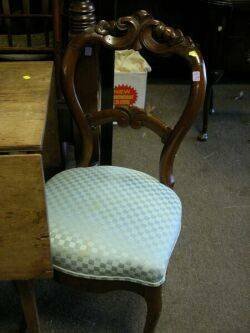 Pair of Victorian carved walnut side chairs. 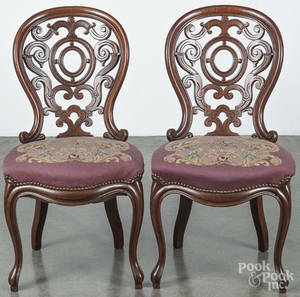 Pair of Victorian Carved Walnut Parlor Side Chairs.